Don't you just love sketch challenges?! 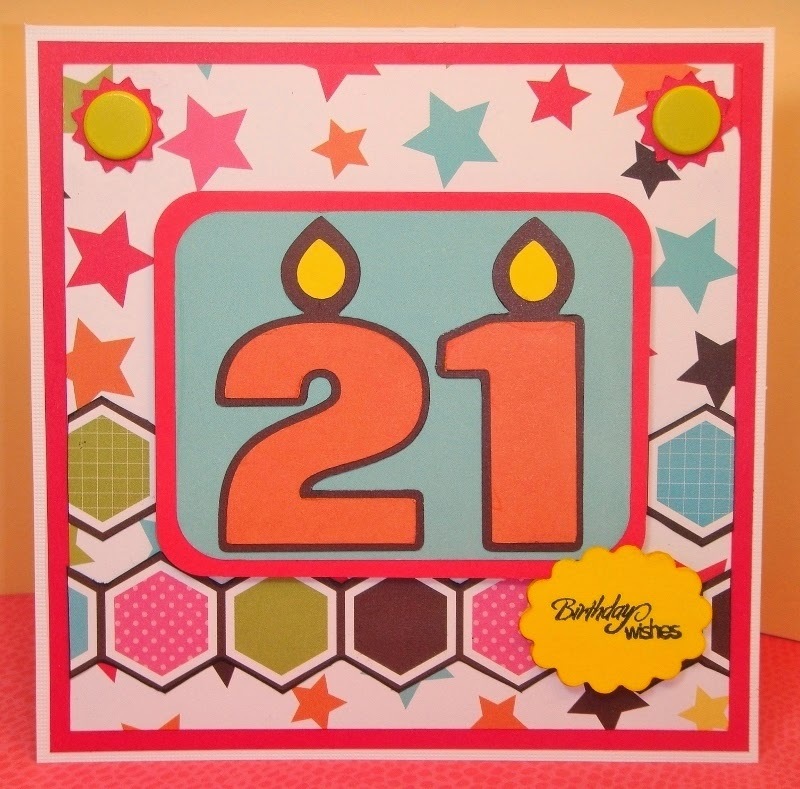 I used Sweet Treats cartridge to cut the number candles for this special 21st birthday card. The paper is Ki Argyle Paper Pad. I hand cut the hexagon paper to use as the 2 background strips. The scalloped oval is a Fiskars punch, which I layered with foam squares. I put the yellow brads in each corner with small sun circles cut from Accent Essentials. The card is a 5-1/2" square base. We hope you'll join in the challenge this week. 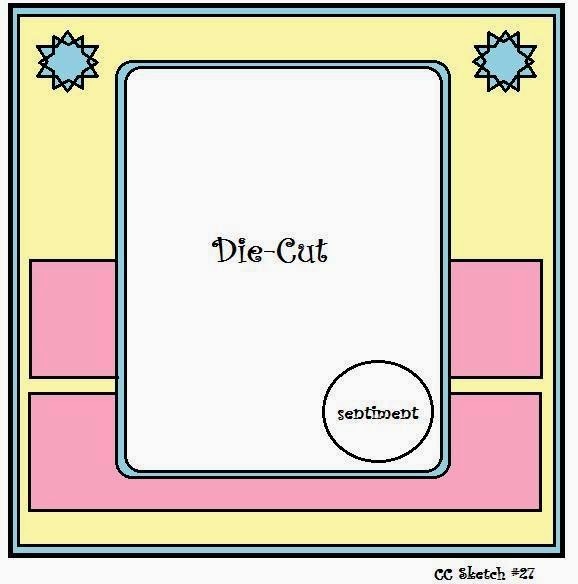 Submit your card, layout or altered project following the sketch shown above and using a die-cut. Be sure to link your post back to the Die Cuttin Divas blog. Check out all the great inspiration from our Diva Design team, and all the ways you can use this sketch. GREAT take on the sketch Pat!! Love your card!!!! Fab!! Great take on the sketch! Very pretty birhtday card!! Have a great day. Super cute & COOL!!! Great take on the sketch!! Great card Pat! Love your take on the sketch. Awesome card Pat and great job on the sketch. I hope all is well with you.